Endemic. Common in the cultivated and fallow fields of Gious Kambos. 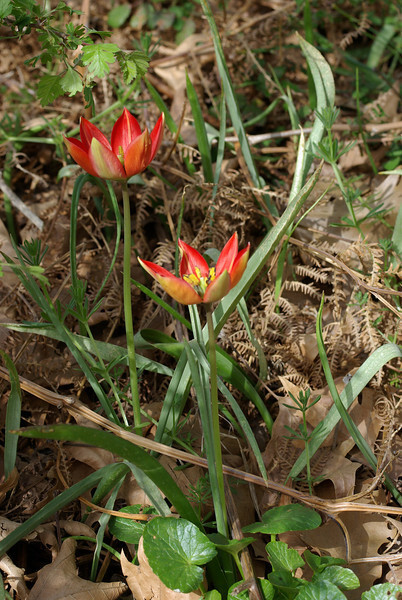 Orange-red tulip with linear, lanceolate leaves.